More about iittala Toikka Dyynia Inspired by the iittala color of the year (Desert) and named after the Finnish word for dunes (dynni), Oiva Toikka’s Dynnia is a rich addition to the 2015 flock. Toikka wanted to convey the brave bird walking through the sand, which can be seen in the proud pedestal foot. 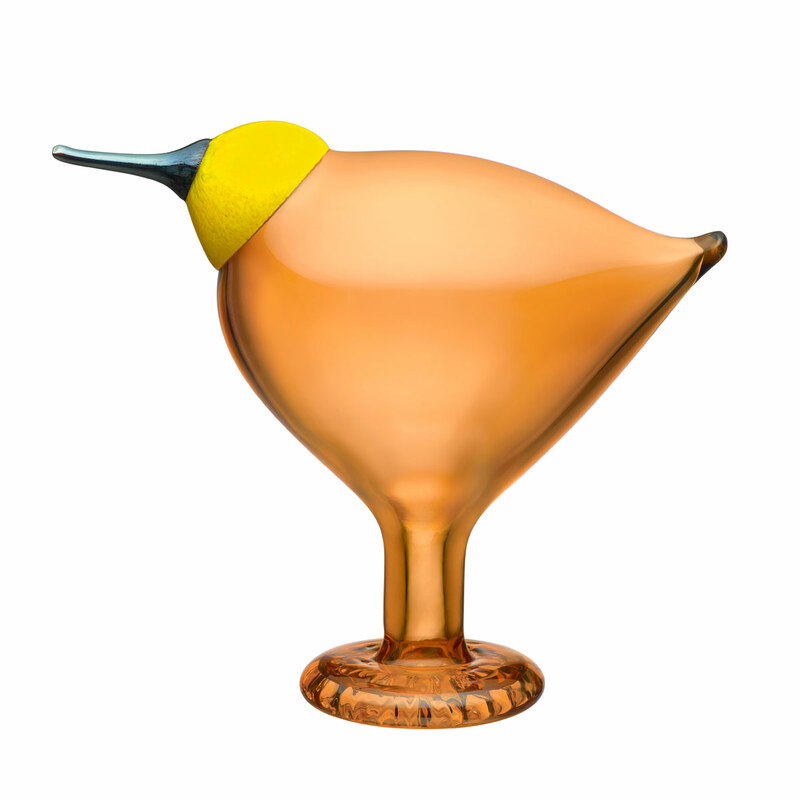 His artistic vision has been realized by master glass blowers in Finland, who handcrafted only 700 of the numbered beauty.The transparent body is a glowing shade of warm amber, contrasted by a golden head and opalescent beak. The petite, pointed tail adds an endearing element to its stoic stature. Each unique iittala Toikka Dynnia carries “O. Toikka IITTALA” and is numbered x/700 on its base to ensure authenticity.